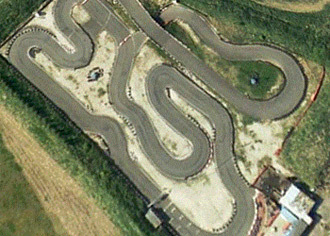 A fantastic outdoor go kart circuit with a selection of karts for juniors and adults including the 270cc competition Sodi Karts that provide high straight line speed with great handling and superior weight distribution for cornering. The circuit features a bridge and a tunnel and has the look and feeling of proper racing circuit complete with overhead timing gantry and painted grid markings. Join the A16 and head towards Grimsby. After passing North Thoresby you encounter a few bends and then a long straight section of road. At the end of the straight is the village of Holton-le-Clay. Just before you reach it turn left signposted to Waltham. Qualifying to determine your grid position then a non-stop 30-lap race. Qualifying to determine your grid position then a non-stop 40-lap race. A series of short sprint races to determine a winner. For groups of 15 or more drivers: Heats, quarter-finals, semis and a final. A two-hour team endurance event. Qualifying to determine your grid position then a non-stop 120-minute relay event for teams of 2 to 4 drivers sharing a kart.